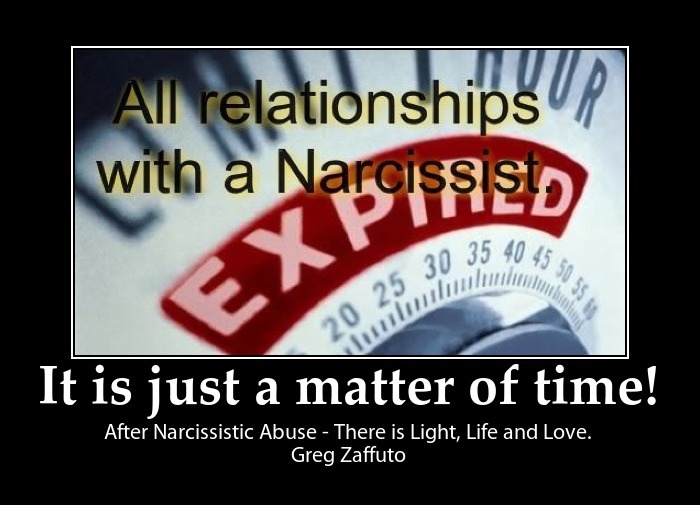 ← Broadening the perspective of Narcissistic abuse by including it right alongside every other abuse. Let’s call it what it is Emotional and Psychological abuse that can occur in any life situation be it romantic, friendship, family, work, etc. Let’s also include and define it in terms that are recognizable to personal relationships OR Domestic Violence. So a little insight into how this perpetrator abuses! Posted on July 16, 2015, in Narcissism. Bookmark the permalink. 122 Comments. I just went through this myself. Only it was worse because I married a police officer. So not only did he try to control me and everything I did, he tried to use his power against me as well. But EVERYTHING in this article is spot on. Once he could not control me and was bored with me, he revealed his true, psycho self! He did a smear campaign to everyone he knew and everyone I know! Even my own parents! He told me I was the love of his life for almost 2 years! Even drove me out to Myrtle Beach to propose and cried while he was proposing. Then we got married on Myrtle Beach and he cried during his vows. (FAKE) He flipped into the monster right after we got married. Now, that his true side came out, I think he was cheating the entire time, because he constantly needed the SUPPLY!!! So ladies, steer clear from Randy Stone Jr.!!!! He is a user and a psychopath!!!! Wow!!! Once again i am in shock! I cant believe people like this exsist!!! This is my husband totally and noone will ever believe me!!! I thank you for putting this out there and am glad I know I am not crazy!!!! My mother was diagnosed with NPD. She backstabbed, lied, and went behind my back to destroy my image. She was determined that I not live my life the way I was meant to. Mind control, backstabbing, lying…very hypocritical. The truth must be known. I notice that most, if not all church going people are hypocritical and phony. You are absolutely right, it was a horror show, and with a girl that I was engaged to 37 years ago, and if I drop her off back when I was 20 years old and never went back seeing her again after 37 years we were like two peas in a pod. I thought it was horrible I literally almost committed suicide I ended up with a no contact order against me and broke it cuz I left a note on your window saying marry me. Ended up going to jail 20 days. -only in his mind. I was busy trying to make the marriage work because I gave my promise. I challenged him to make sure I was dead for I will put him in jail or chop his head off. That scared him off. NPD’s are evil, pure evil. Normal people don’t destroy people, especially their own family. If one can not love one’s family,he can not love anyone and something is terribly wrong with this monster.